Maddie Dixon-Poirier is a Canadian actor born in British Columbia. A natural performer, Maddie's desire to enter TV and film was fueled at the age of a 8 when she was in a stage production of the musical "You're a Good Man, Charlie Brown. Maddie's first TV experience was on Season 1 of Fargo staring Billy Bob Thornton. She gained further experience in independent films and shorts which lead to her first recurring role as Janie Strobridge on Season 5 of AMC's , Hell On Wheels starring Anson Mount. She was recognized with a Joey Award for Best Actress nomination for her performance. Stepping into the film world, Maddie has had been busier than ever, with roles in Canadian films A Miracle on Christmas Lake and thriller Everfall. Maddie also starred in director Andy Koeger's unique short , Rosie, Oh, which led her to win a Joey Award for Best Actress. 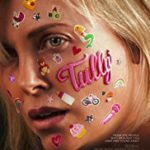 Director /producer Jason Reitman cast her in his feature film Tully starring Charlize Theron, she is a recurring character on Netflix's science fiction Altered Carbon, and a series regular on AT&T's Audience Networks hilarious comedy Hit The Road starring Jason Alexander. Maddie has always been drawn to music and singing and can perform in almost any genre. She surprised and delighted audiences with her unexpected "Broadway belt" as Brooke in Imagine Performing Arts production of Dreams of Broadway.